We are pleased to offer you one of our most stirring patriotic Christmas tree ornaments. 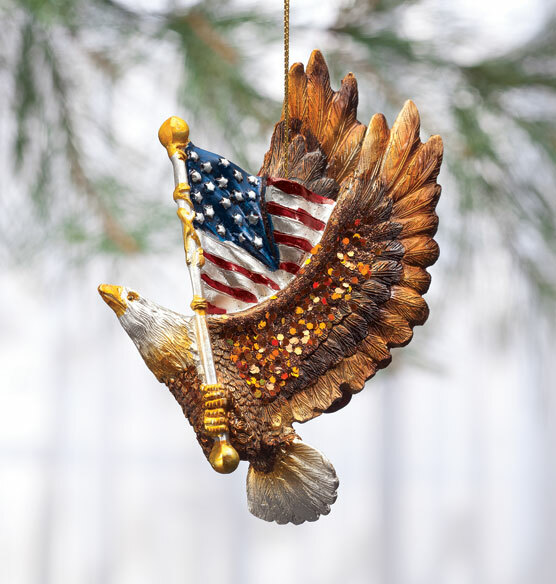 This American flag eagle ornament flies high with star-spangled pride — its wings spread open in glorious flight. Crafted of resin, this high-quality Kurt Adler™ 3D design looks impressive at all angles. This product also keeps the American spirit alive during the Holiday season. It's great patriotic decoration to any Christmas tree.